Newcastle boss Rafael Benitez remains relaxed over the future of Ayoze Perez, despite the forward appearing to suggest he would welcome a move back to La Liga. Perez has scored seven Premier League goals this season, including a match-winning double against Everton earlier this month. The 25-year-old is in his fifth season on Tyneside, after joining from Tenerife in 2014, but admitted in a recent interview a move back to his native Spain would be tempting. Speaking in an interview with Spanish television programme El Chiringuito, Perez said: "I believe in cycles. I think there is a moment where you plan things, to undergo a change and I think after five years, I think it's the moment. "To go back to your country and play for a big team and enjoy La Liga, would be something great for my career." 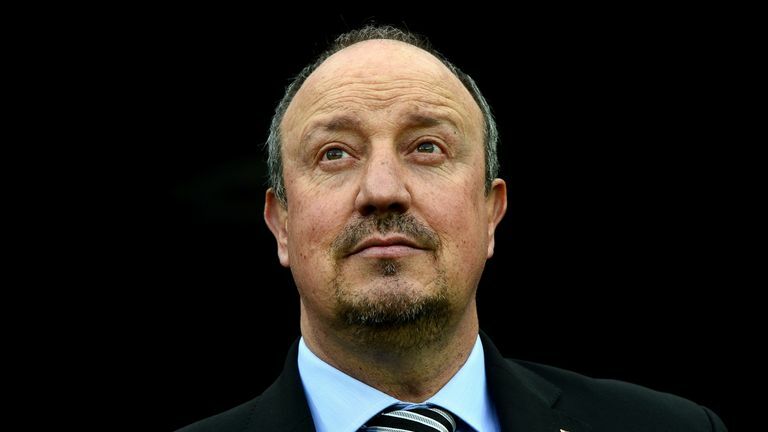 However, Benitez insists he has received no indication that Perez wants to leave Newcastle. "[Perez] is someone you can see who is training well and is focused. When we talk about the future, we talk about doing things here," Benitez said. "He's not telling me he wants to go, he's focused here. If he can see the team is doing well, I think he will be happy."